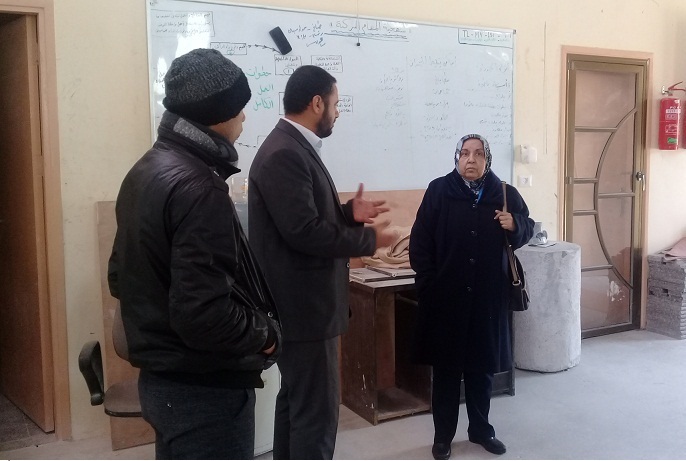 On Monday, 14/1/2019, the Chairman of the Board of Directors of the Gulf Educational Foundation Dr. Thanaa al-khuzendarThe visit was attended by Dr. Rajab Al-Sarraj, the British Islamic Relief Representative, and Ms. Mona Ashour, Coordinator of the Foundation's projects. 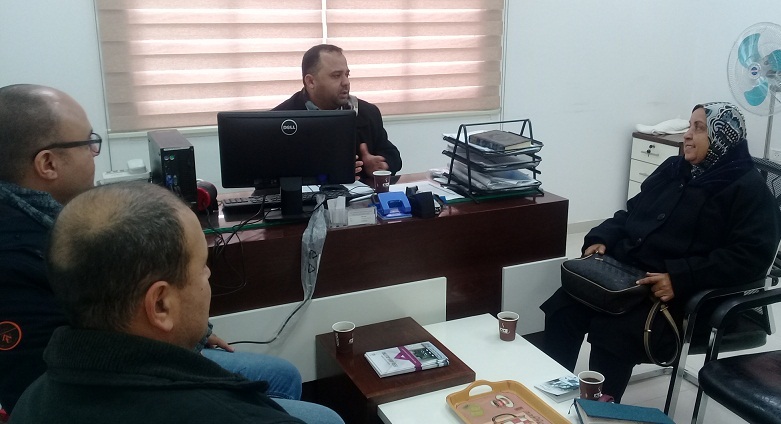 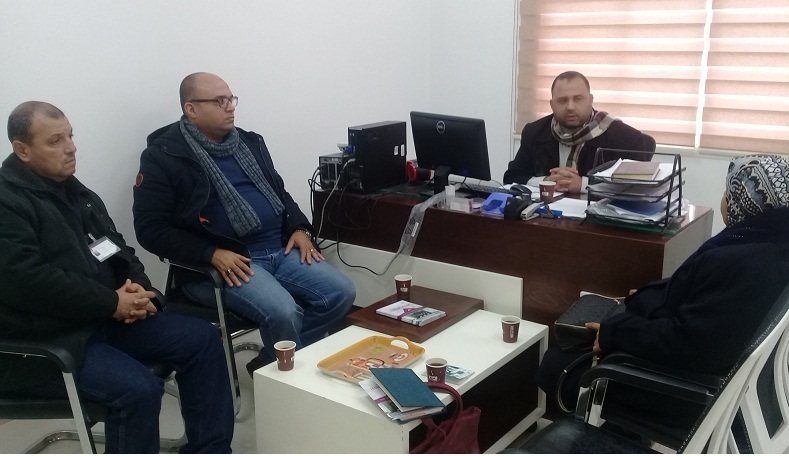 During the meeting, she visited the headquarters of the Vocational Training Center - the Center for Excellence in the Construction Sector in Rafah Governorate, in addition to the Multi-Services Employment and Employment Office of the Ministry of Labor in the Gaza Strip. 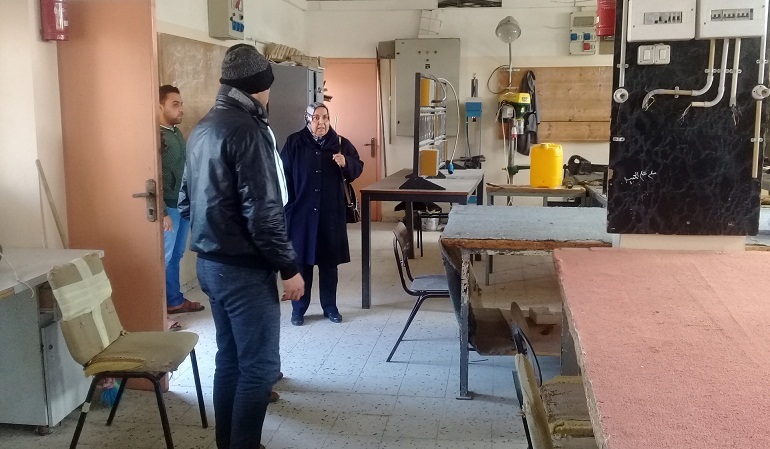 And the field tour dealt with ways of joint cooperation in future projects to support the vocational training sector and the employment of graduates in Palestine. 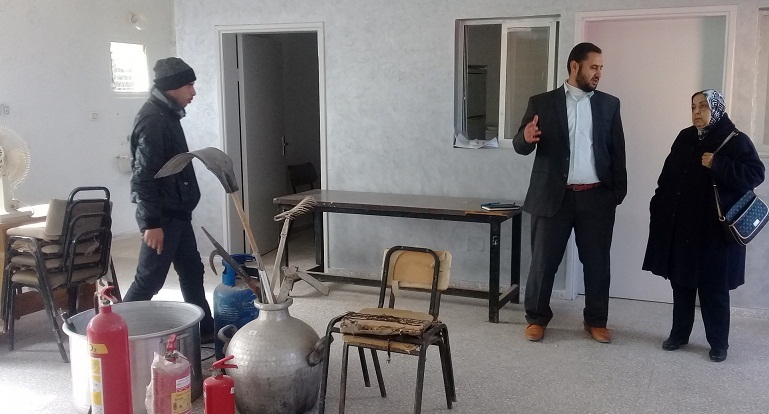 Hassan Al-Hams, Director of the School of Excellence in the Construction Sector in Rafah Governorate and Eng. 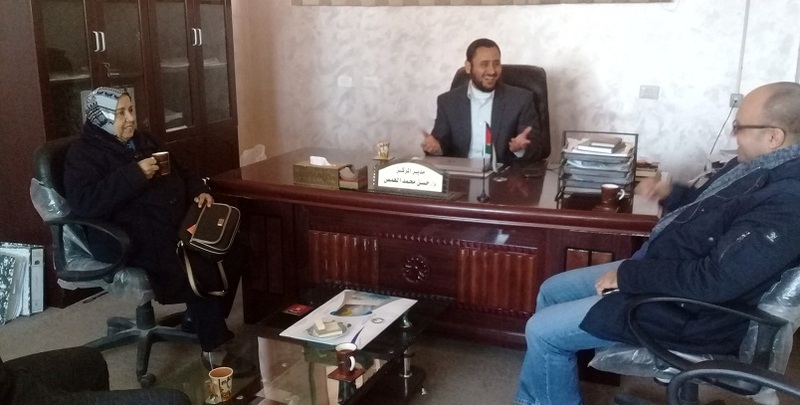 Abdulwahab Haboush, OSS Center Director, praised the efforts made by the Gulf Educational Foundation in the education sector and stressed that cooperation with the Foundation especially in the field of education will add many achievements to their progress. 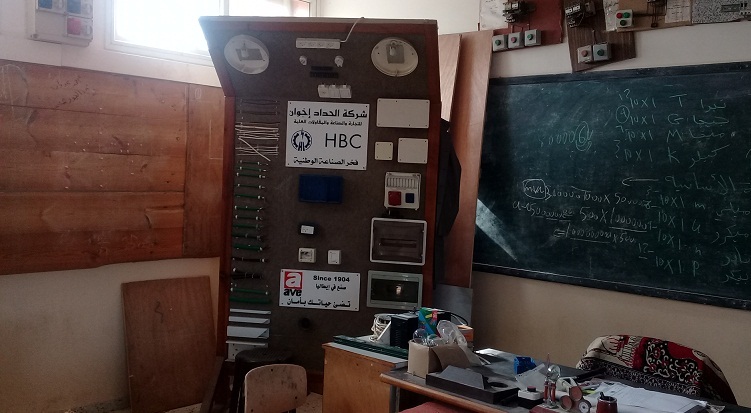 For her part, Dr. Thanaa Al-Khuzendar lauded the role played by vocational training schools, especially the construction sector, employment centers and multi-service employment, which have had a great impact on raising the efficiency of these sectors and strengthening their steadfastness in Rabat under the present difficult situation. 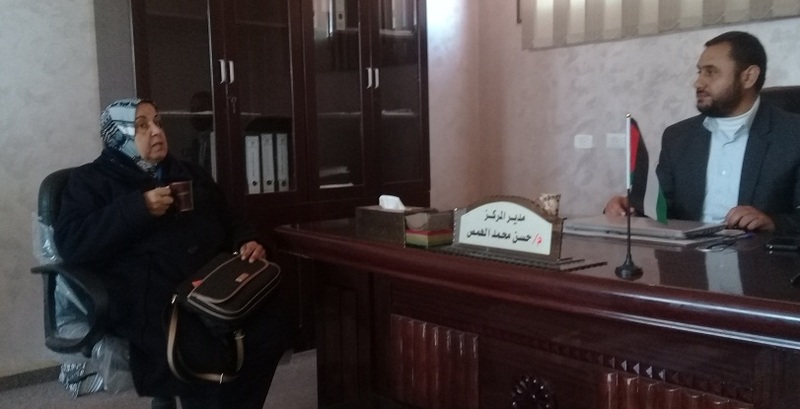 Dr. Thanaa thanked the school administration and the operating office for the good reception and the field tour that she conducted for the various departments, asking the Molly Almighty to preserve them with a blessing and to perpetuate them as an asset, support and help for the homeland.